PermaSEAL Rope is a black Butyl rope which is wrapped around the head of PermaSEAL plugs before being installed. 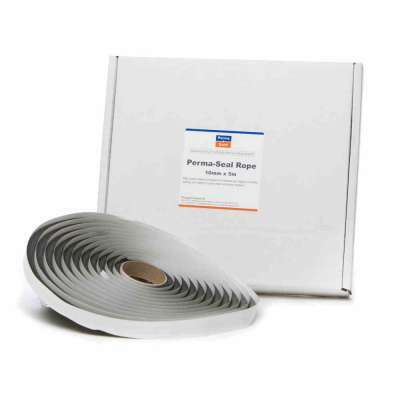 PermaSEAL Rope is a black butyl rope which is 10mm in diameter, it is primarily designed to be wrapped around the head of membrane fixing plugs to create a watertight seal. It is also used to seal fixings in walls and for general use around services or stop ends.